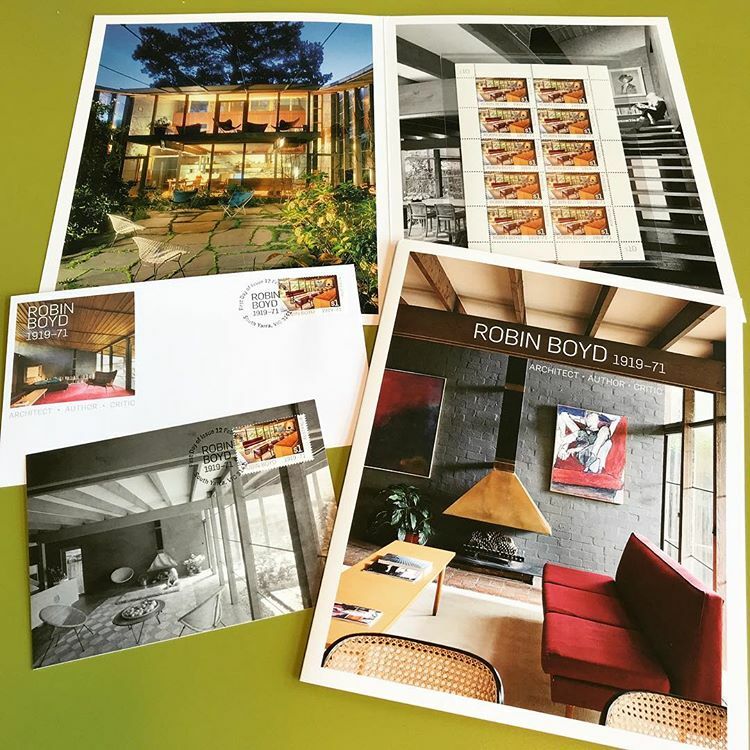 On 12 February 2019, Australia Post released Robin Boyd: 1919–71, a commemorative stamp issue that marks 100 years since the birth of this icon of Australian architecture. Designed by Jo Muré of the Australia Post Design Studio, the stamp features a photograph of the Walsh Street house, known as Boyd House II, which Boyd designed in 1957. One (1) Robin Boyd 1919-71 sheetlet pack (101mm x 156mm) contains the sheetlet of 10 x $1 stamps from the stamp issue presented in high quality folder of images from Walsh Street. One (1) maxicard from the Robin Boyd 1919-71 stamp issue. A maxicard is a *prepaid postcard with a stamp affixed and postmarked on the view side. The subject matter of a maxicard is common to the card, stamp and postmark. One (1) Robin Boyd 1919-71 blank cover as a pictorial envelope (DL size) that can be used to send a personal letter or to make your own souvenir cover of the stamp issue.